ZERO -G is a manipulator operated exclusively tire for handling of flat glass or windows in conditions of maximum safety . Through the load lifting equipment can consistently check the spatial location of the object to be moved within a large workspace . The ergonomics ensures pan and tilt rotation that make the process work quickly and flexibly. The gripping system suckers and the system of weight balance allow movement in two directions in an area of ​​a diameter up to 6,000 mm . 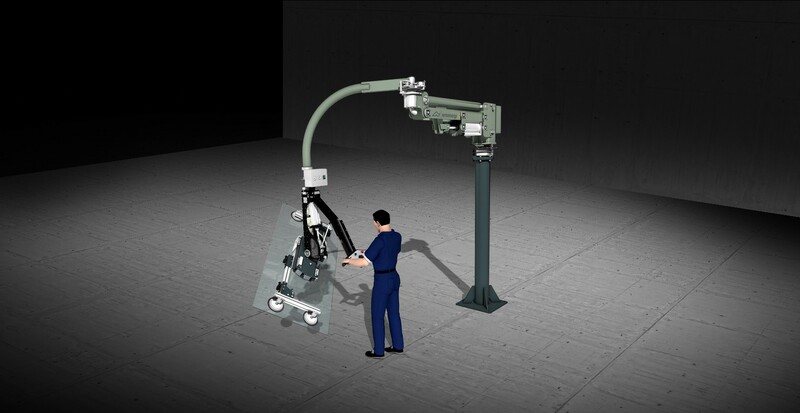 The configuration of self standing base allows great mobility inside the plant.